What to do in Italy? There is a clear message for young Italians who wonder about their future job: planing to become an electric car salesperson is not a good idea. There were a grand total of 68 electric cars sold in Italy in the first quarter. One car sold per business day in the whole country! It was better in the U.K. with 336 EVs sold, but that’s down from the 338 sold last year. Germany is the largest and richest country in Europe so it should be leading, but it’s not. 1032 electric cars were sold in Germany in the first quarter. Tiny Norway, with only five million people is doing much better with 1412 EVs sold. 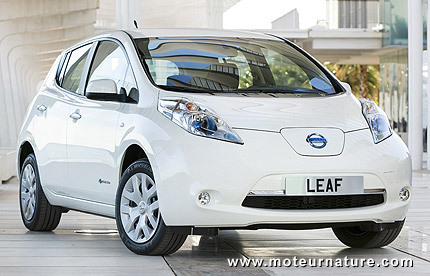 The Nissan Leaf is leading by far, it found 1049 Norwegian customers in the first quarter. France is doing even better. There were 2248 electric cars sold in France in the first quarter, with 1599 of them which were Renault Zoe models. But that number doesn’t say the whole truth. This is the “new car registrations” data which is quite different from sales. With the Renault Zoe a very important model from France’s leading brand, hundreds of cars have been registered without being effectively sold. The car I test drove as a journalist a few weeks ago was in the above number, but it still belong to the manufacturer. There were also hundreds of cars which have been registered by dealers to allow customers to make test drives all over the country. Actual customer deliveries were quite minimal because the Zoe has only been available in the third week of the month. Data shows there were more than 500 electric Zoe cars registered before there was a single customer delivery! So we still have to wait to find out how successful the Zoe will be. Stay tuned, but we can be confident that April will be a record month. Some French people had ordered a Zoe more than 6 months ago, there should be served in the coming weeks.